The Quinnipiac Bobcats (16-6, 11-0 Metro Atlantic Athletic Conference) will play host to the Canisius Golden Griffins (9-13, 7-4 MAAC) in a Saturday afternoon matinee at the People’s United Center. Coming off a dominant 62-42 win over Niagara University on Thursday, Quinnipiac will be trying to capture its 43rd consecutive win in the MAAC. The Bobcats beat the Golden Griffins earlier this season by a score of 55-42. Before the game, Quinnipiac will honor its five graduating seniors who have had an enormous impact on this program. The senior guard from Springfield Gardens, New York is one of the most decorated women’s basketball athletes in the program’s history. The absence of Jen Fay hasn’t been much of a problem for the Bobcats thanks to the play of the MAAC Preseason Player of the Year. In 22 games this season, McClure is averaging 10 points, 6.1 rebounds, and 2.5 assists per game while shooting nearly 40% from the floor. Expect McClure’s dominance to continue as she finishes a strong career for the Bobcats. The senior forward from Keflavik, Iceland has been tearing up the court for the Golden Griffins this season. Averaging 13.3 points, 8.3 rebounds, and shooting 40 percent she is certainly someone the Bobcats will try to take away on Saturday. If she can get open and find space, it could be the first step towards knocking off the Bobcats. As important as Hinriksdottir is to the offense, the Golden Griffins will need some of their role players to step up and have a big night if they’re going to knock off the Bobcats. Quinnipiac has won two consecutive MAAC Championships and is seemingly coasting to a third this spring. At this point it seems like the only thing that can beat this team is themselves, and if I’m Tricia Fabbri, that’s the message I’m giving my team. If they can stay focused and continue to play their style of basketball than it’s going to be hard for anyone to beat them. There is no team that is perfect and the Quinnipiac Bobcats are no exception to that. Just because Quinnipiac has won 42 consecutive games in the MAAC doesn’t mean they can’t be beaten. What it does mean is that if Canisius is going to be the team that ends this streak, they’re going to have to play mistake free and try to make Quinnipiac play uncomfortable. With the amount of talent on Quinnipiac’s roster, making too many mistakes is something that teams in the MAAC just can’t afford to do. 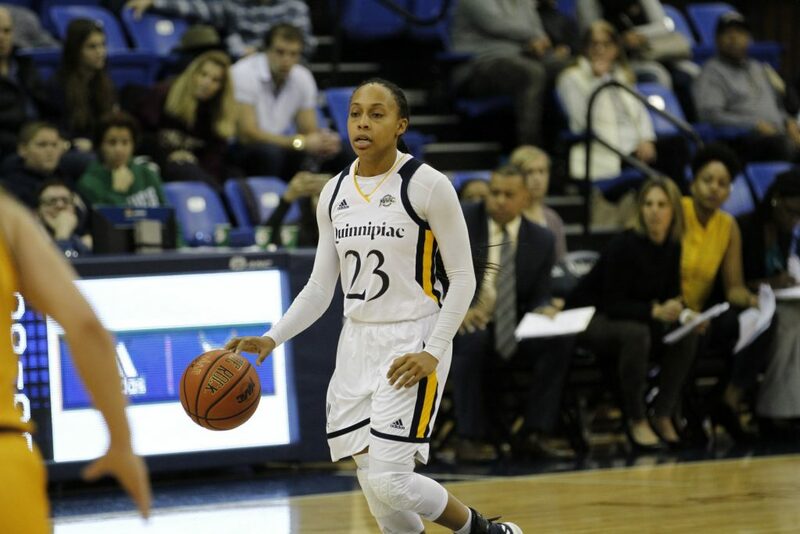 Make sure to tune in to QBSN’s live broadcast of Quinnipiac vs. Canisius women’s basketball at the People’s United Center in Hamden, Connecticut. Jon Surratt and Ryan Flaherty will be on the call of the game. For live updates throughout the game, make sure to follow @QBSN on Twitter.